Pedestrian Accidents | Miami Personal Injury Lawyers Gerson & Schwartz, P.A. Contact Fort Lauderdale Personal Injury Attorney Gerson & Schwartz, P.A. The attorneys of Gerson & Schwartz, P.A. are known for having over 46 years of representing clients in South Florida including pedestrian accident cases. Negligent driving plays a big role in personal injuries in Florida every day. In a study by the Surface Transportation Partnership and Transportation for America, researchers found that Miami was the third most dangerous city for pedestrians in the United States between 2007 and 2008. The top four most dangerous metro areas for pedestrians were all in Florida. In 2010, USA Today reported that although Florida contains only 6% of the nation’s population, 11.1% of pedestrians killed in 2008 were in Florida, making it the deadliest state for pedestrians. Tragically, the majority of pedestrian injuries and fatalities are preventable, if only motorists paid better attention. Medical costs, time away from work, and other damages can wreak havoc on the finances and well being of an individual and his or her family. Gerson & Schwartz, P.A. are advocates dedicated to holding negligent parties responsible for the injuries they cause. We thoroughly investigate this type of accidents to determine whether they were caused by motorist negligence. We are committed to protecting your rights and maximizing your financial compensation for all losses suffered as an injured pedestrian. Negligent motorists going over 30 miles per hour may cause serious injuries and fatalities. However, a car driving even only 10 miles an hour may seriously disable a pedestrian. Florida drivers have a legal duty to exercise due care when they drive. This includes a duty to watch for pedestrians and any other potential hazards in the road. If you were injured by a driver and have incurred medical costs or had to miss work, you may be entitled to compensation. Likewise, if a beloved family member was walking and was killed by a motorist while walking, you may be entitled to wrongful death damages, including compensation for your “loss of society and companionship”. If driving appropriately for the circumstances, the driver of the vehicle will have time to react and avoid hitting the pedestrian. The factors for what is considered appropriate to the circumstances include speed limit, weather, visibility, traffic conditions, time of day, blind spots, and more. Motorists have additional duties upon seeing a child or an incapacitated adult. If either is spotted on the road, the driver of a vehicle may need to slow down or yield to avoid hitting them, unless they ran into the street in such a way that a reasonable driver would not have anticipated them. In Miami, pedestrians, too, must follow rules such as obeying traffic control devices, crossing at crosswalks, and not darting into the path of a vehicle. 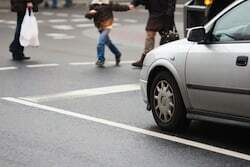 However, Section 316.130(15) of the Florida Statutes states that every driver of a vehicle shall exercise due care to avoid colliding with a pedestrian and must warn pedestrians when necessary, exercising proper precaution. Florida considers a motorist to be better situated to avoid injury or death to a pedestrian, even when a pedestrian is not following the rules. With the publicized high rate of pedestrian injuries and fatalities in Florida, all drivers should be particularly careful. Unfortunately they are not. Our law firm has handled many different kinds of pedestrian injury cases and knows how to provide high quality investigation and representation for these types of cases. After an accident, a motorist’s insurance company may try to contact you or try to obtain your statement right away. 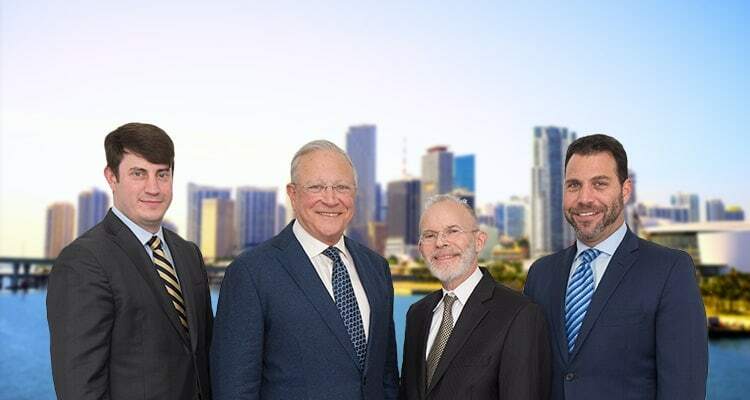 If you or someone you love has been injured while walking, please contact the Miami pedestrian accident lawyers at Gerson & Schwartz, P.A. for a free consultation by calling (305) 371-6000 or using our online contact form. Gerson & Schwartz, P.A. represents pedestrians and their families throughout South Florida, including Miami Dade, Homestead, West Palm Beach, Orlando, Hollywood, Orange County, Boca Raton, and the Florida Keys.